In a 2005 interview in the Harvard Business Review, the world chess champion Gary Kasparov was quoted as saying: Think about it: After just three opening moves by a chess player, more than 9 million positions are possible. And that’s when only two players are involved in the game. Now imagine all the possibilities faced by companies with a whole host of corporations responding to their new strategies, pricing, and products. The unpredictability is almost unimaginable. As we all know, ill-advised risk-taking in the financial sector led the industry to the brink of collapse in recent years. Not only that, but sales schemes driven by inappropriate incentive plans and outlandish short-term objectives caused many consumers to suffer severe financial consequences and lose trust in the entire financial marketplace. It seemed as though the customers, whether individual borrowers or institutional investors, became mere pawns in a chess game played by bankers willing to sacrifice them for a big win. Something was desperately wrong with conduct in the banks and it needed to change. Achieving an effective conduct- or customer-focused culture is challenging for firms, particularly for those whose focus has been primarily on profitability and shareholder returns…While we would applaud improvements in the customer experience it is not the same as our focus on fairness and firms’ cultural approaches must embrace this concept for them to be successful. From what we see, there are key drivers that set and re-enforce this conduct-focused culture with the most important being clear and ongoing leadership from the top of the organization, constant re-enforcement, hiring practices, incentive structures, effective performance management, and penalties for not doing the right thing, all of which should set the tone for a framework for decision making on a day-by-day basis. Throughout his speech and other materials published by the FCA, there is a theme that returns over and over again to integrity, leadership, culture, the concept of controls over conduct, and strong risk management – all tied to an outcome of business success. What is this? It is a vision of Principled Performance – a point of view and approach to business that enables organizations to reliably achieve objectives while addressing uncertainty and acting with integrity. And it is refreshing to see leaders (and in some cases past wrongdoers) in the financial sector rising to the occasion and establishing a Principled Performance approach to conduct risk, even though they may not yet call it that. In 2012, Barclay’s started down this path by including a statement in its Annual Report noting that it was actively assessing how best to feed conduct risk appetite into strategic decision-making, develop management information to support decision-making, and facilitate the monitoring of the conduct risk profile against appetite. Since then, it has taken steps to establish a strong internal team to address these needs. In 2013, JP Morgan formed a new conduct risk and strategy team within its regulatory policy and strategy group, with the objective of providing advice and support across lines of business to identify, manage and mitigate conduct risks. Strategy and Management Information – Assessing how best to feed conduct risk appetite into strategic decision-making and developing information to support management decisions. Frameworks Design and Rollout – Designing and embedding a new Conduct Risk definition and approach across the business in accordance with the Group Principal Risks Policy. Conduct Risk Assessment -Assessing the current state of controls and assessing strategic risk within each Centre of Excellence to capture what is done well and identify where risk really lies. Communications and Training – Coordinating and driving communications and training throughout the company, as well as reporting to the Enterprise-wide Risk Management Committee. These are but a few examples of the many pronouncements and job posting that can be seen about the latest buzzword – conduct risk. Expect to see many more in the coming months as the FCA expands its oversight and similar authorities in other regions of the world take action. 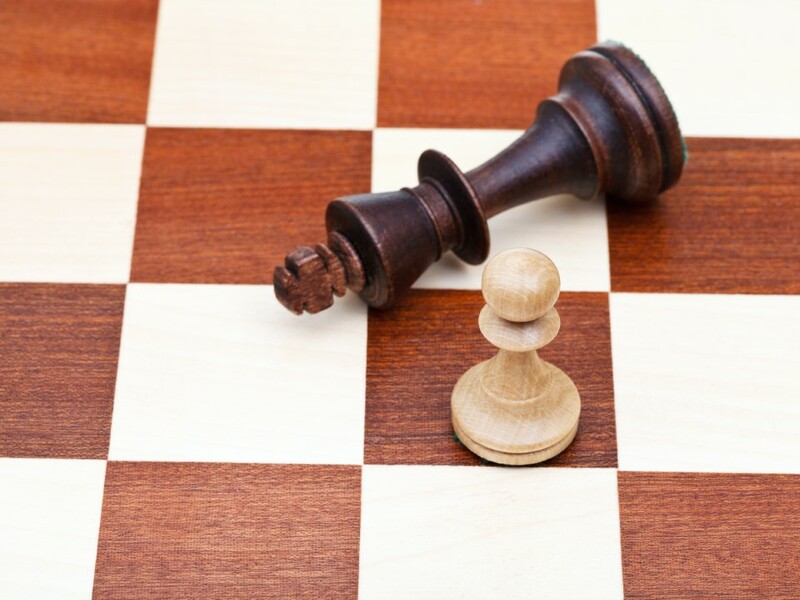 Chess remains an apt metaphor for a strategic approach to conduct risk, except that customers must be viewed as more than mere pawns to be sacrificed on the road to profit. To the contrary, protection of customer interest is essential for predictability of the market confidence and financial stability necessary for attainment of strategic objectives. This couldn’t be truer than when facing the myriad challenges presented under the umbrella concern of conduct risk. Masterful strategic planning and execution is essential to stay in the game and win. Get a view of the details of a strong conduct risk strategic approach in this Conduct Risk Illustrated infographic from OCEG.